Wigs and hair extensions are easy ways to get the look you want. The only question is what would you change if you could. Would you choose from brown to blond, from blond to brown or would you prefer some extreme colours like pink or blue? Would you try out a short or a long hairstyle or a fringe that you were always afraid of to ask your hairdresser? What changes would you make? Just let your imagination run wild. Findingdream is located in China and was established in 2007. 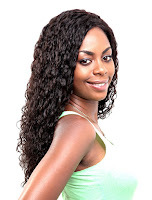 They supply wholesale hair extensions and wigs to clients amongst others from Europe or America. You can find on the site for example wholesale Brazilian hair. They offer it in different styles like curly, wavy or straight and you can even get it in ombre version. They are from Brazilian virgin hair in the length of 10-30 inches. 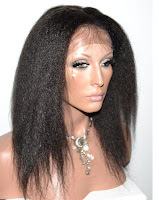 With the wholesale lace wigs you can get a different hairstyle in minutes. You can have an afro look or you can change from blond to brown, everything is possible. Check out these hairstyles which you can have from 100 % Indian remi hair in the colours jet black, dark brown and natural black. They are full lace with strength in crown but it is possible to customize them. If you could choose any hairstyles in any colours what would it be? Please let me know in the comment section below. These look great! I would love really cool ombre extensions! Thank you, Marisa! :) I'm glad that you like your current hairstyle. :) I think these extensions are perfect for those who prefer both, short and long, at the same time so they can change their hairstyle from day to day. I love your background on your page! I love space, stars moons + all that great stuff :) Great review on the hair extensions! The hair looks really nice on you. Thank you for you comment! I followed you in GFC!